We are so excited about this month's free download from our sponsor, Spanish for You! 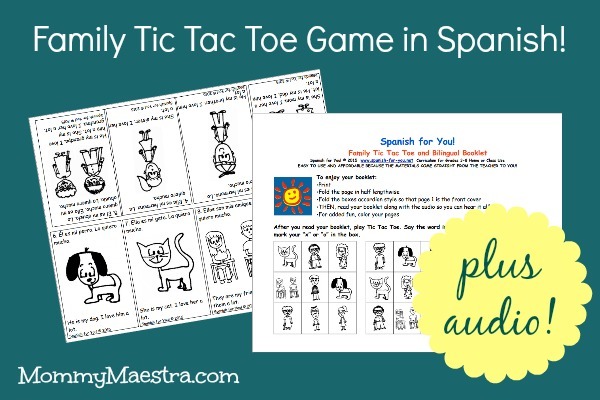 It is a family-themed Tic Tac Toe game plus audio file for your young Spanish learner! This fun activity sheet introduces your Spanish-language learner to family-themed vocabulary. It includes three tic tac toe game boards and a bilingual booklet. The accompanying audio file is a bonus for parents and children who are learning proper pronunciation. And to supplement this activity, here are some of our favorite books about family.